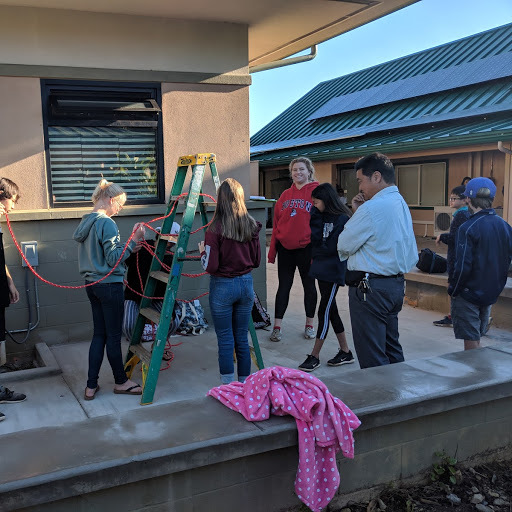 They've all been working hard researching, gathering data "in the field", and interviewing experts and concerned local citizens about a local environmental issue, and it all culminates this week with the final drafts being submitted to the competition this Thursday and Friday in class. At the end of next week, Friday, March 1st, from 2:35 to 3:15, there will be a Presentation of Learning in the Wang and MS Courtyard where the 7th graders will have a chance to share lots of the work that they did for this Interdisciplinary Unit with all of the 6th and 8th graders, with the emphasis being on their scientific learning that afternoon. All (including parents and grandparents) are welcome to attend this event to celebrate, support, and learn from the young science journalists! 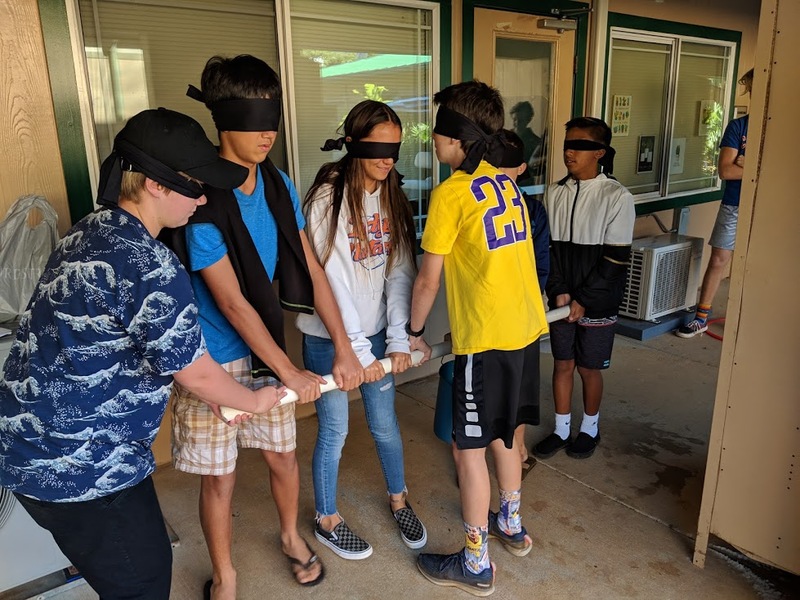 One of our Middle School Tribe groups, "The 3Gs", investigated and compiled a list of local service opportunities that you can volunteer for in the next few weeks! As a group they looked for opportunities online, focusing on "local, kid friendly service activities that contribute to social, cultural and environmental sustainability". What does Sustainability mean? 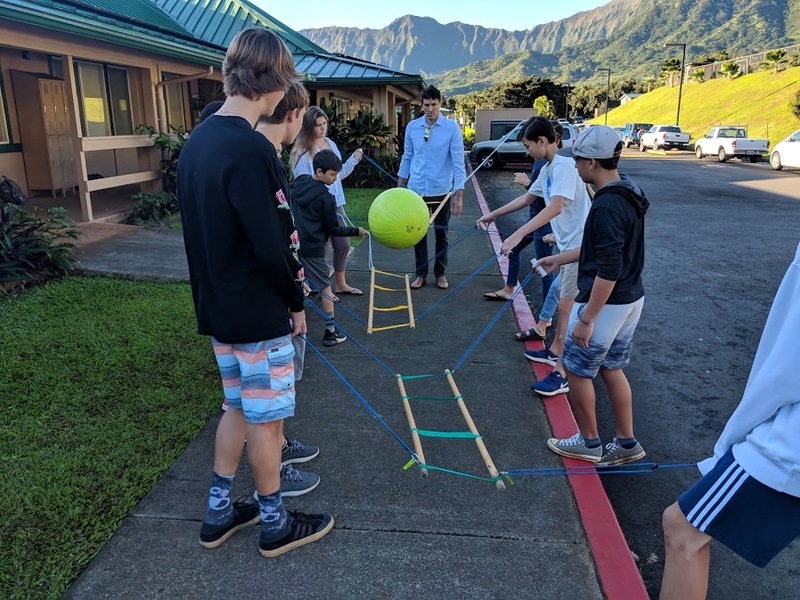 These curious and analytical students unpacked the concept and determined that it means "keeping the things running that are good for the community" and when asked "what things?" they went even further to define "democracy, fairness, a healthy environment, and a safe community". Click HERE to check out the service opportunities. 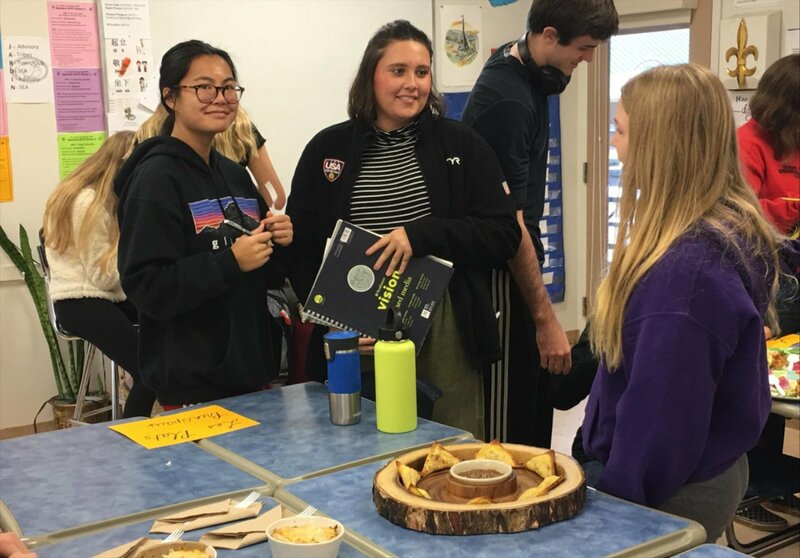 French II students competed against one another to win the title of best 'entrée,' 'plat principal' and 'dessert' to mark the grand finale of their gastronomy unit. 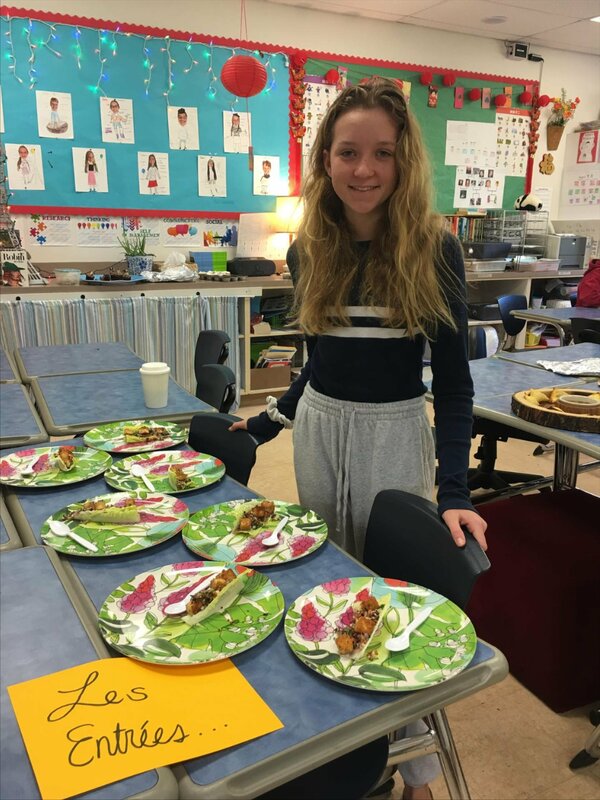 Modelled after the cooking show, "Chopped," students had to describe and defend their dishes in French to the 'judges'(Mme. Ito's former French students, now in MYP 5), as part of their assessment. Last Friday's PD Day allowed for longer blocks of collaboration that cannot be done during the school week. 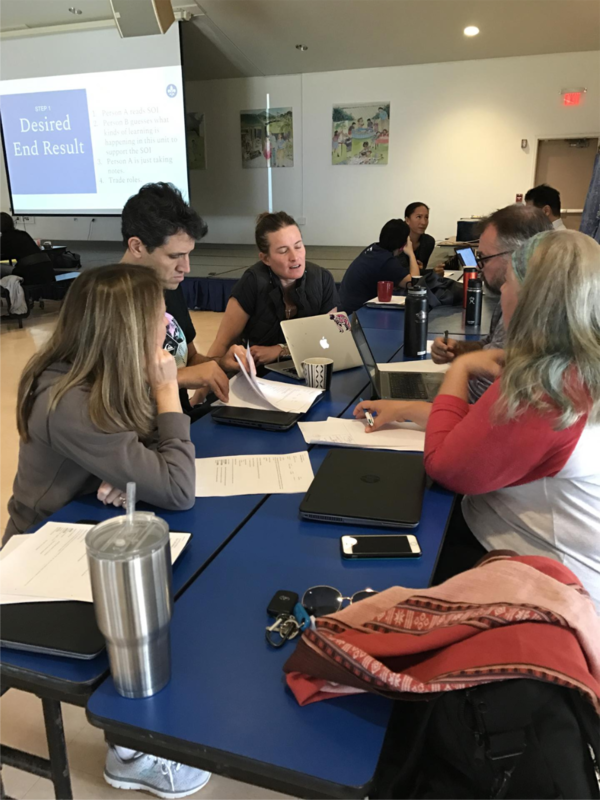 This was a great opportunity for the MS/HS to focus on horizontal collaboration while deepening their understanding of intentional backward design, inquiry, implementation of ATLs and interdisciplinary learning. A lot of exciting ideas sprung out of the collaboration and we're excited to see them in action. MYP2 Individuals and Society students are studying World Empires and currently focusing on Korea. 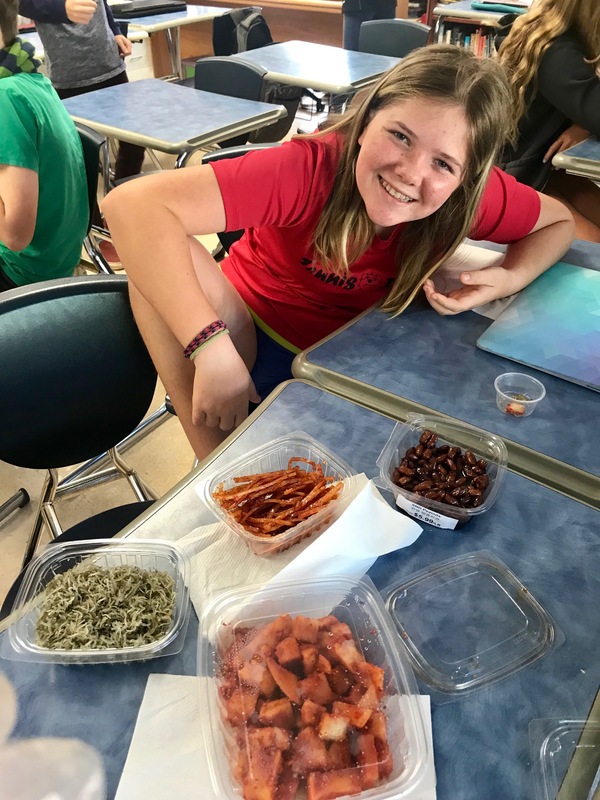 Students, including Emily N., enjoyed various Korean sides including pickled radish, spicy squid and dried anchovies. 8th Grade Banquet is still set for Thursday, May 30. This year we are excited to be returning to Mid Pacific Country Club for this event. For those who have older LJA students, you may remember this was the event site in prior years. We made this decision based on several factors, including efforts to be more financially minded with our resources as well as having a goal to return to a more intimate celebration of your child's experience in MS. Please note, due to the size restrictions of the venue we will only be able to have each student bring two sponsored guests*. Once initial RSVP's have been collected in April, we will be able to release any additional seating for other family members at a small cost. More detailed information about this event will be sent out later this spring, but at this time we wanted to make sure everyone had ample notification regarding this year's seating limitations. 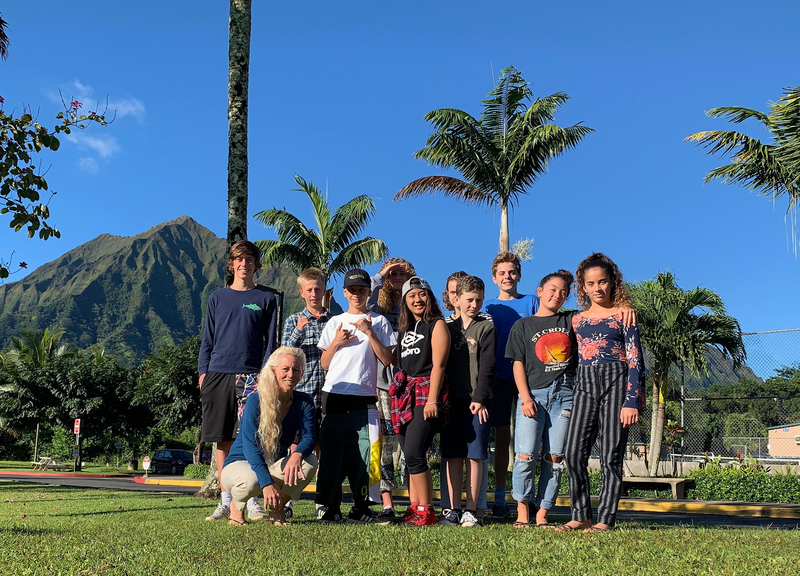 The culminating TRIBES' grade 8 off-island trip may be moved to a new location on Big Island the week AFTER what is currently listed on the school calendar. A few things were considered for this possible time/location change. 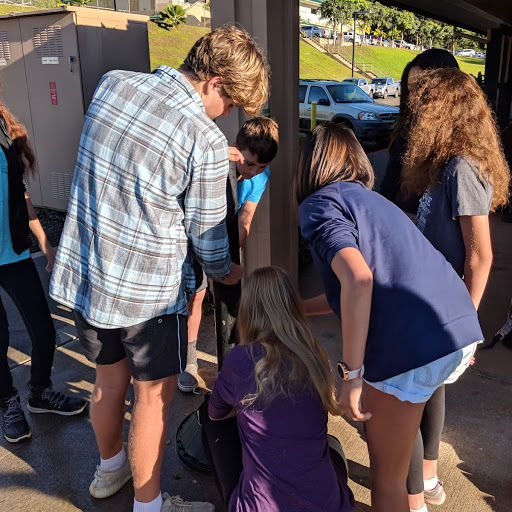 Students & teachers expressed an interest in returning to the Big Island to see the changes since their 4th grade trip and to see the results of the lava flow eruptions. Also, the original timing of the trip immediately after the May Day performances increases the demands on the students, parents & teachers with regards to logistics and limits the time of the trip with an afternoon departure. Lastly, we received some feedback that students and their families were hoping for time after the May Day celebration to spend together, given this year May Day is scheduled as only a partial school day for MS/LS. The time on that day will also be most helpful for the 8th grade Advisors to work on the trip details along with an opportunity to collaborate on final lesson/assessment plans. We will finalize and communicate out the dates and location of the trip within the next couple of weeks. Please note the date of the MS/HS Band Concert will be affected if the 2-night, 3 day-trip is rescheduled for the week of May 6th. Please feel free to contact me or the MS Office if you need further information. Thank you in advance for your planning flexibility and support. The PFA hosts their annual LJA Fun Run on Feb. 24 on campus from 8:00 - 11:00 AM. All LJA families and friends are welcome. The race is a one- or two-lap run around LJA with great music, a fun climbing wall and more! Registration is online this year. A limited number of t-shirts are available, so sign up now. If you'd like to help with coordination and set-up please click here or email morgan.larue@gmail.com (This is a great opportunity for students to get some service hours). This week's item of interest is a lightweight Patagonia jacket. 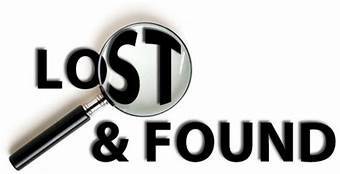 If your child has lost one please contact the MS Office to identify. Many other items are waiting to be claimed as well including water bottles, jackets, hats and more! All items not claimed after two weeks will be donated or properly disposed. 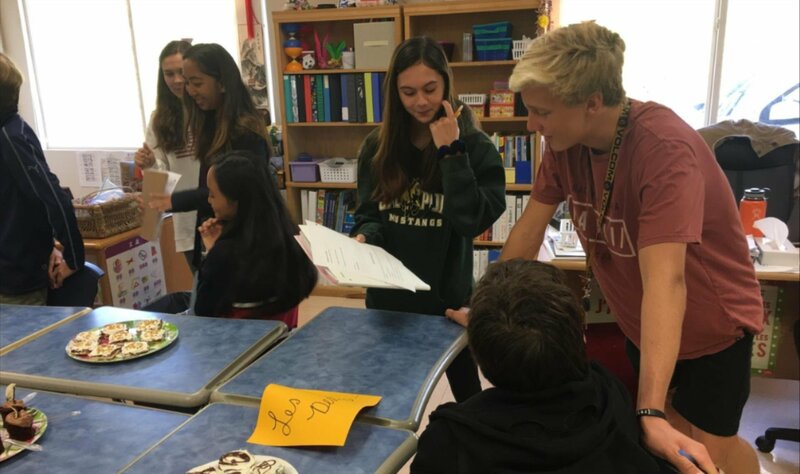 For her Service as Action project, sixth grader Hannah C. is conducting a gift card and diaper drive for Family Promise Hawai'i. The mission of Family Promise of Hawai'i is to help families with children experiencing homelessness and help them transition to sustainable independence. Gift Cards - Donations of gift cards to stores and restaurants like Walmart, Longs, Zippy's, Safeway, Ross, and gas stations, etc. will help the families enrolled in Family Promise Hawaii's shelter and diversion program to go shopping, get something to eat, or grab a meal. Gift cards of any amounts will be accepted but Family Promise suggests $30 as an amount that can really make a difference! Diapers and Wipes - Help keep the babies and toddlers in Family Promise Hawaii's programs clean, dry and healthy. While all sizes of diapers are needed, sizes 4, 5, and 6 are in the highest demand. Baby wipes are also appreciated. Please drop off your gift cards, diapers or wipes at LJA's front office. A secure box for the gift cards and a box for diaper and wipes donations is available. 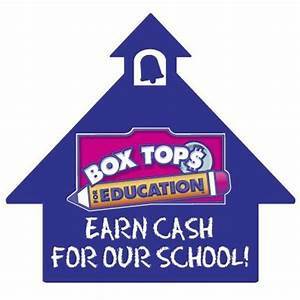 Donations will be accepted from Monday, February 25th through Friday, March 18th. Did you know that 500 million straws are thrown out every day in the US alone? We can do something about it! 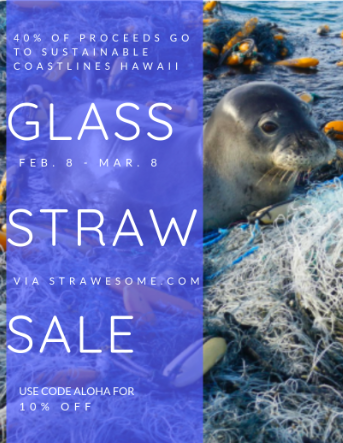 I'm having a fundraiser for Sustainable Coastlines Hawaii. I'm selling glass straws on Strawesome.com. If you want to donate to my cause use the code ALOHA and you also get 10% off! Mark your calendars - the Spring play happens this month! 'Look Before You Leap' is a HS/MS two-part epic original comedy about spies, set in 1962. Date-specific tickets are available from Robert St. John (rstjohn@lejardinacademy.org) for $5 for either part or $7 when both parts are purchased at the same time. All performances will be in the Harold Theater. 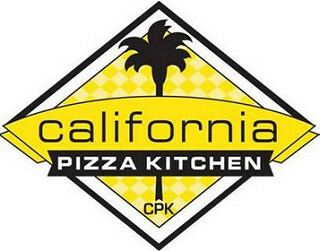 March lunch orders are now being taken. Sign up for lunch HERE. Check out the new Meatless Monday menu! 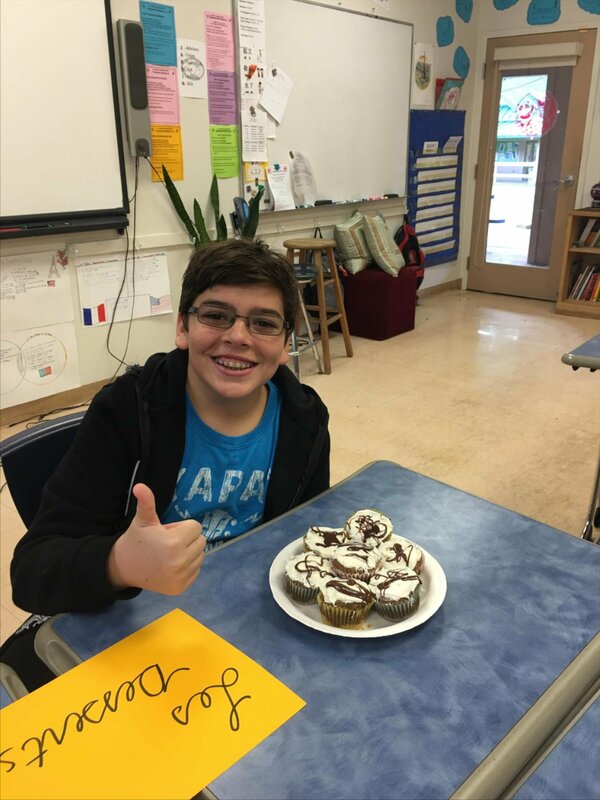 Note: In response to a 10th grade student's Personal Project, the Concession has modified it menu to improve students' diets, help raise awareness on issues such as making healthy choices and the environmental impact our decisions make, and improve sustainability efforts by helping conserve land, water and fossil fuels.